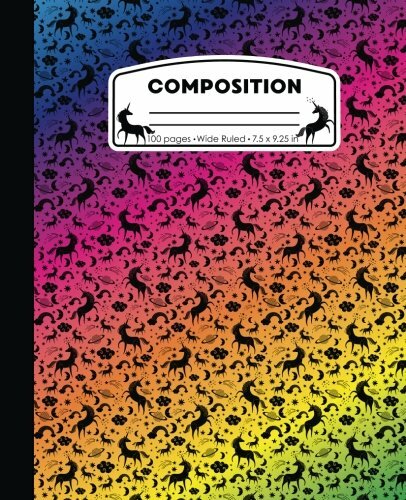 Rainbow Unicorn Marble Composition Notebook. Are you or your kids bored with standard school supplies, but your teachers require them Sneak in a little fun with our cute and custom, fun, unique marble composition books featuring your favorite subject! This pattern comes in all the colors you might need for elementary, middle or high school classes. See our brand, "PattyJane Press" to find all the different patterns in many notebook sizes.